Fat LossTrec L-Carnitine complex - 90 tabl. 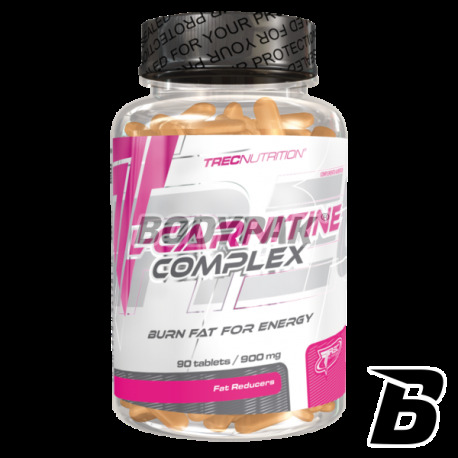 Trec L-Carnitine complex - 90 tabl. Wysokie stężenie l-karnityny w jej najskuteczniejszej formie. Przyśpiesz efekty swojego odchudzania bez ryzyka efektu jojo! Najwyższa jakość i sprawdzona skuteczność! TREC L-Carnitine Complex contains appropriately selected composition of L-carnitine tartrate, chromium and vitamin B6. These components increase of fat in the production of energy, regulate blood sugar levels and suppress the appetite, leading to reduction of excessive body fat. The product also works energizing and prevents fatigue during prolonged physical effort. TREC L-CARNITINE COMPLEX facilitates weight control, accelerates fat burning and increase efficiency in intensive training athletes and physically active people. Helps reduce body fat, including the composition of compound action supporting lipolysis, such as L-carnitine tartrate, chromium and vitamin B6. 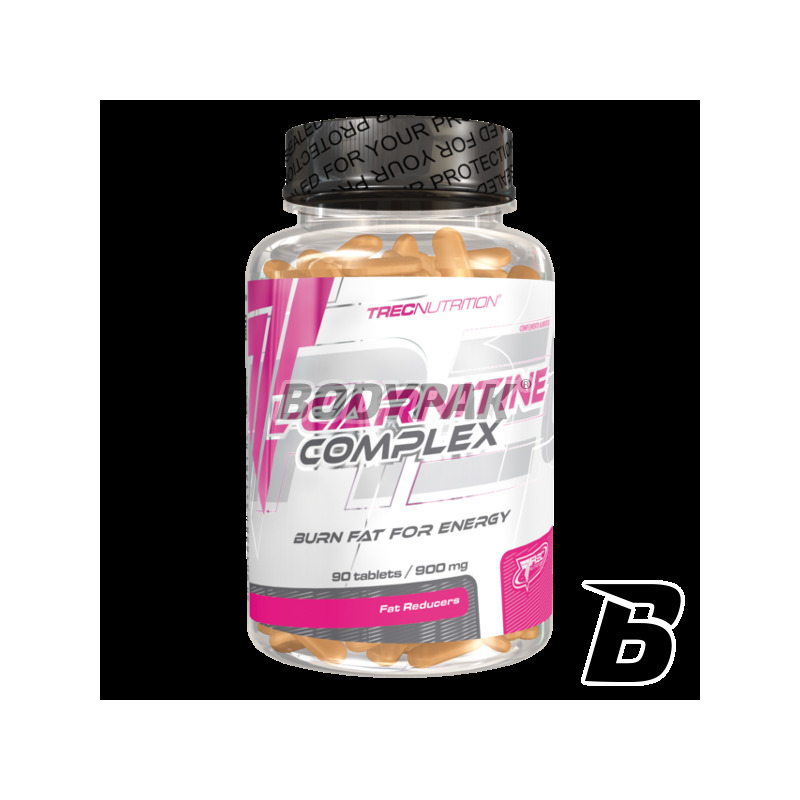 TREC L-Carnitine Complex is addressed especially to athletes and active people, and to all who wish to improve body composition, or have difficulty getting rid of the programming fat. It is a preparation characterized by high quality and optimal proportions between the various components. TREC L-Carnitine COMPLEX WAY TO FAST weight loss! The recommended daily allowance is 2 tablets. Preparation drink about 300 mL of water. 2 tablets 30 min. before training. 2 times a day 1 tablet, preferably 30 min. before a meal. Wartość odżywcza 100g 2 tab. 1 tab. Jestem pod wrażeniem - wraz z dietą i treningami 2kg mniej w 2,5 tygodnia - super!